Daily Overview information can be viewed for a single Location and date, or a combination of multiple Locations or larger date ranges. Use the Location selector and Start & End Date pickers to update the included data. When more than one Location or more than one date are selected, the data will be displayed in aggregate, and weather information will not be available. 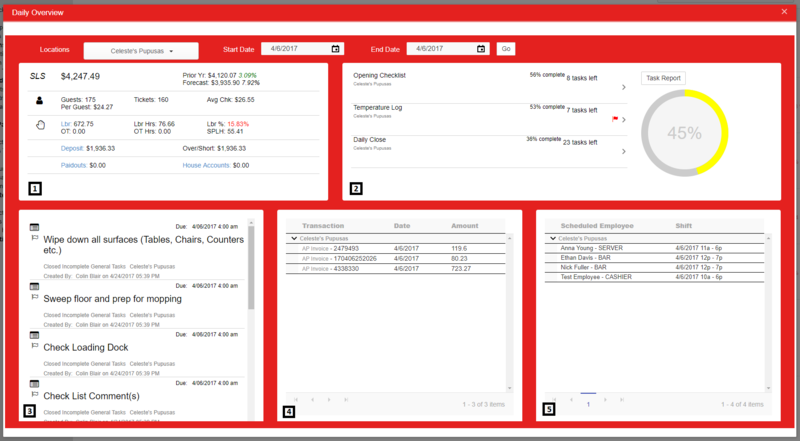 For data inputs, such as Deposits, the system will first prompt the User to select the Location and/or date to make the data entries. 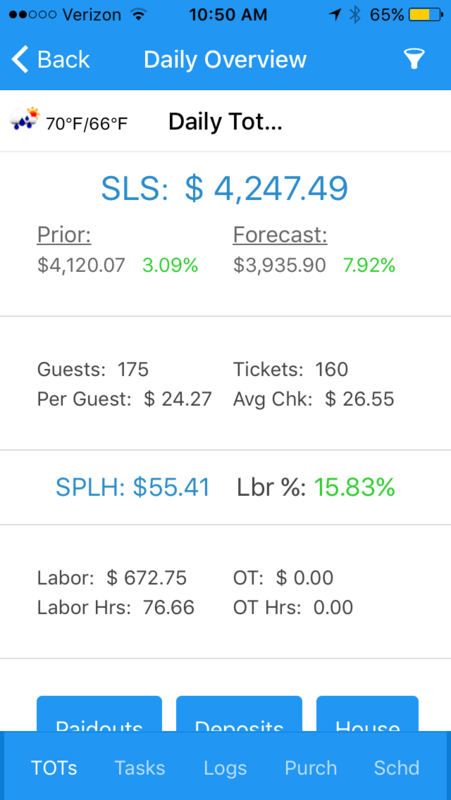 The Sales & Labor Summary section is located in the top left of the Daily Overview screen. The first several lines are identical to the information found in the Calendar View or in the Calendar Day Hover. In addition to the summary information we see details that have previously only been available on the DSS. 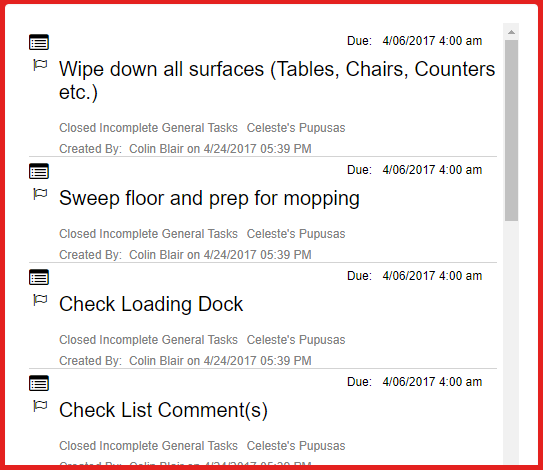 The Task List grid and a Total Completion indicator are located in the top right of the Daily Overview screen. All Task Lists that have been assigned to the Locations and Dates selected will be visible in this list. 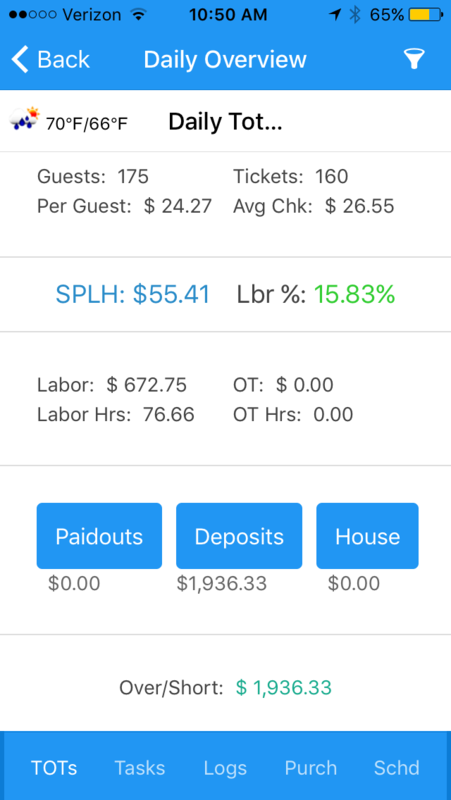 The Logs section is located in the bottom left of the Daily Overview screen. This section will contain all Log Entries that have been entered for the Locations and Dates selected. Log Categories have the option of not being displayed on the Daily Overview screen. Therefore, certain Log Entries, such as Employee Notes, will not be displayed here. 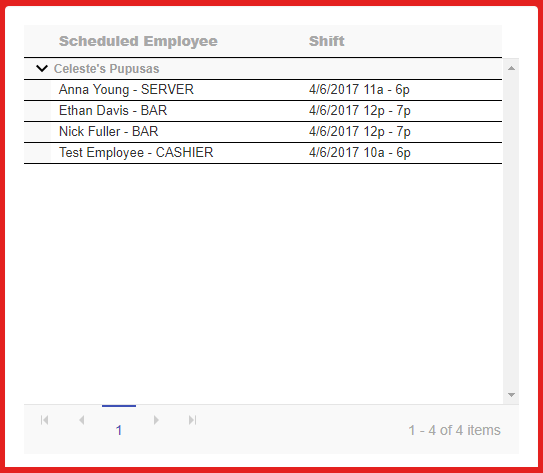 In addition to the icon, the header of the log entry will contain the assigned employee’s name (if any) and an Entry Date or Due date. The body will contain the full text of the log entry. The footer will contain the creator of the Log Entry, along with the Create Date and time. If the log entry is a task, an additional line indicating the completion status of the task will be present. 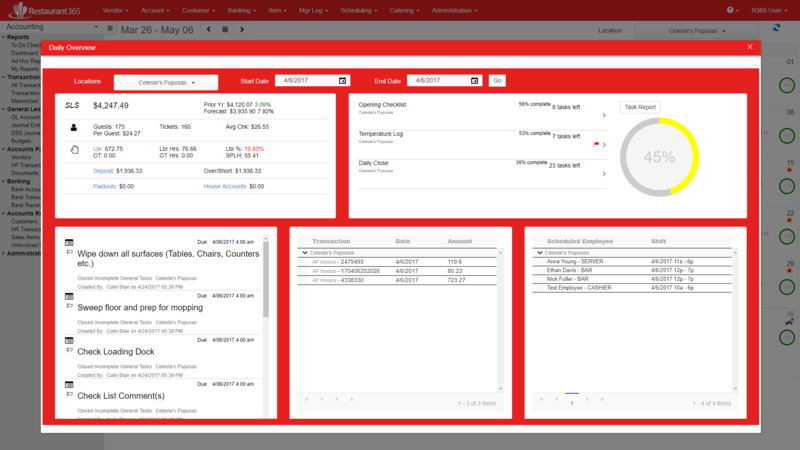 The Transactions section is located in the bottom middle of the Daily Overview screen. 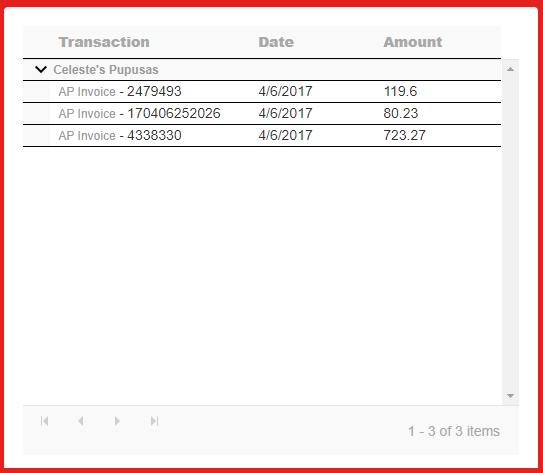 AP Transactions for the selected Locations and Dates will be listed in this section, and separated by Location if multiple Locations have been selected. A User can double click on any line item to open the corresponding record. The final section contains the Schedule and is located in the bottom right of the Daily Overview screen. Scheduled Employees, along with their Job Title and shift time will be displayed here. Similar to the Transactions pane, if multiple Locations are selected, the schedule will be separated by Location sections.